Elizabeth “Betty” M. Frey, 91, of Fremont, OH passed away peacefully surrounded by her loving family at Rutherford House home on May 24, 2018. She was born August 7, 1926 in Cleveland, OH, the daughter of Adolph and Vondale (Parish) Hulka. 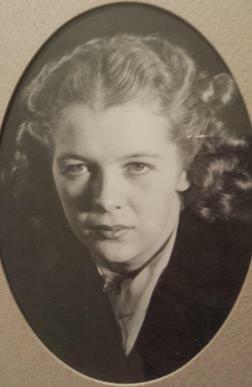 Betty and her siblings were raised by their grandmother May Terry. Betty was a 1945 graduate of Fremont Ross High School. Betty married Harold G. Frey on November 4, 1949 at Hayes United Methodist Church in Fremont and he preceded her in death on January 23, 2018. Betty was the church secretary at First United Methodist Church in Clarinda, IA until she retired in 1988. She was a member of Hayes Memorial United Methodist Church. She was also a member of the Methodist Women’s group, Epsilon Sigma Alpha Sorority and chaired the church fall bazaar for many years. Betty enjoyed volunteering, was a reading tutor at Croghan Elementary School and taught Sunday School for many years. Betty enjoyed quilting, reading and crafting. She was an incredible dancer, loved music and was a stylish dresser. Betty is survived by her children, Dr. Lisa Frey, Norman, OK, Chris Frey and his wife DiAnne Mueller, St. Charles, MO, Kevin and his wife Michele Frey, Castle Rock, CO; sister, Barb Sadler, Fremont; eight grandchildren and four great grandchildren. She was preceded in death by her parents; loving husband of sixty-eight years, Harold G. Frey; brother, Don Hulka. The family would like to thank the staff at the Rutherford House and Hospice of ProMedica Hospital for their love and compassionate care. A Celebration of Life will take place on Saturday, May 26, 2018, 10:00 am at Hayes Memorial United Methodist Church, 1441 Fangboner Rd, Fremont, OH, with Pastor Alan Brown officiating. Memorials: St. Louis Crisis Nursery, 11710 Administration Dr., Suite 18, St. Louis, MO 63146 or Women’s Resource Center, Norman, OK. I want to express my sincere Sympathy and prayers at the passing of your Mom. She was such a sweet And loving Lady. I was so Blessed to have Mom as a client and friend along with Your Dad over the years. Betty was such a wonderful person to know. I am so appreciative of her services to our Almighty, Loving God and to the Methodist church. She was an inspiration to all. God’s blessings to all who knew her.